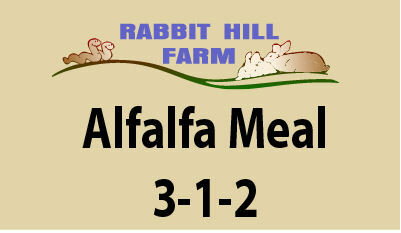 Alfalfa Meal 3.1.2 is a quick acting source of nitrogen that has many nutritional benefits for plants and soil organisms. 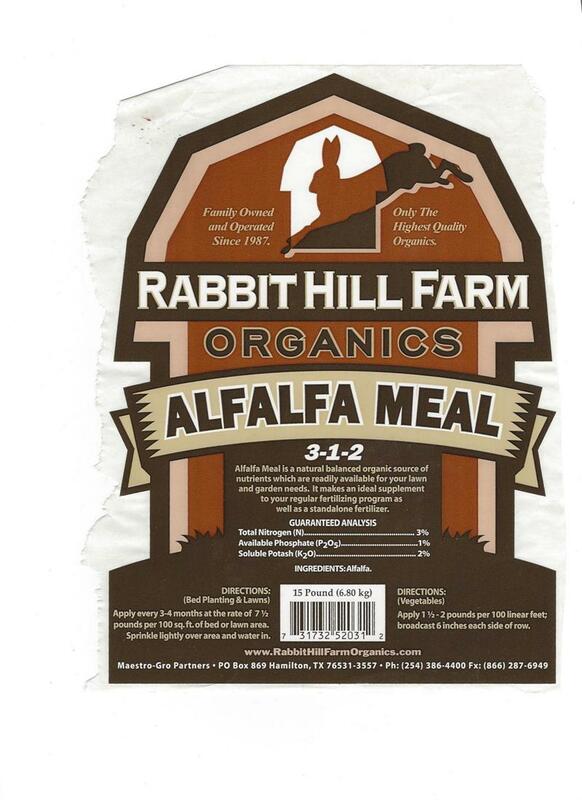 Alfalfa Meal contains triacontanol, a naturally occurring fatty-acid growth stimulant, and trace minerals. 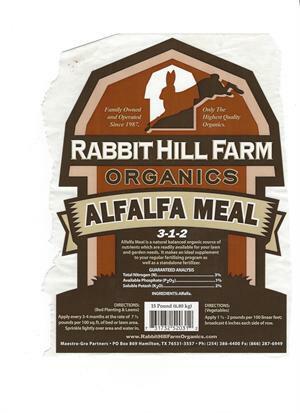 Directions: Bed Planting & Lawns: Apply every 3 to 4 months at the rate of 7-1/2 pounds per 100 sq. ft. of bed or lawn area. Sprinkle lightly over area and water in. Vegetables: Apply 1-1/2 to 2 pounds per 100 linear feet; broadcast 6 inches each side of row. Alfalfa Tea: Add 1/2 cup Alfafa Meal to 1 gallon water. Let steep for 24 hours; use like any compost tea. Product of Dehydrated Alfalfa Hay.